The world’s smallest species of gull has been confirmed to be nesting in Scotland for the first time. 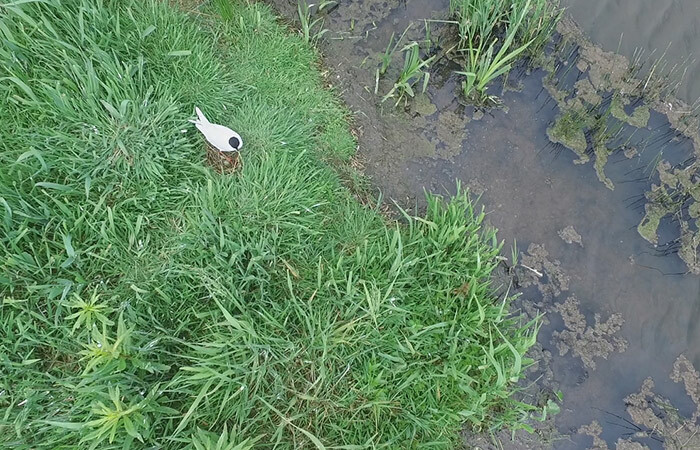 The photos of the birds’ nest containing an egg makes this the first confirmed breeding record for Little Gulls in Scotland and only the sixth from across Britain since at least the 1970s with the most recent record from Norfolk in 2007. 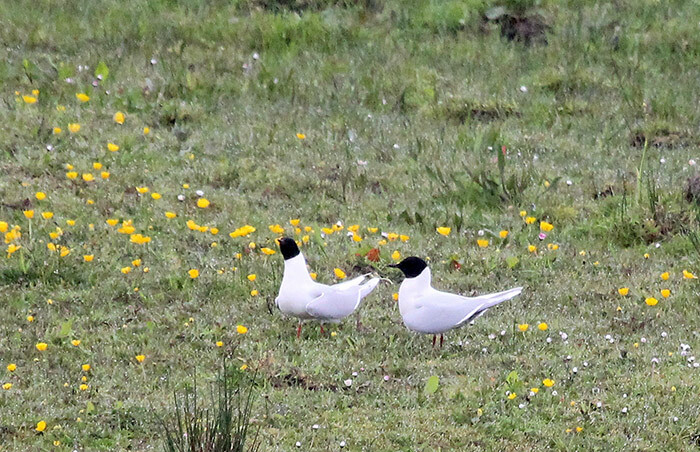 There’s no confirmed record of Little Gulls successfully raising chicks in Britain, so all eyes will be on this pair. It’s hoped that their choice of nesting area at RSPB Scotland’s Loch of Strathbeg nature reserve will help them as the pair have set up home on the tern nesting island. Along with the protection provided by the island being inside a fence, RSPB Scotland staff will mount a 24 hour watch and use cameras to protect these rare birds. At Loch of Strathbeg, the Little Gulls are vastly outnumbered on the nesting island by Common Terns, which return to the UK in April to nest in a small scrape on sand and gravel in noisy colonies. Breeding common terns have silvery grey upperparts, nearly white underparts, a black cap, orange-red legs and bill and long tails which earned them the nickname ‘sea-swallow’. Their conservation status is Amber due to localised breeding and they have suffered recent declines in Scotland which is why local RSPB Scotland staff are delighted that the work they have done at Loch of Strathbeg with hundreds of hours of help from volunteers has been such a success. They describe the arrival and confirmed breeding of the Little Gulls as a very nice cherry on top. For folk hoping to catch a glimpse of Scotland’s rarest breeding bird, although the visitor centre at Loch of Strathbeg is still closed for renovations, visitors can get great views of the nesting island through the viewing screen next to the car park. For more information about how to get to the reserve visit rspb.org.uk/lochofstrathbeg.